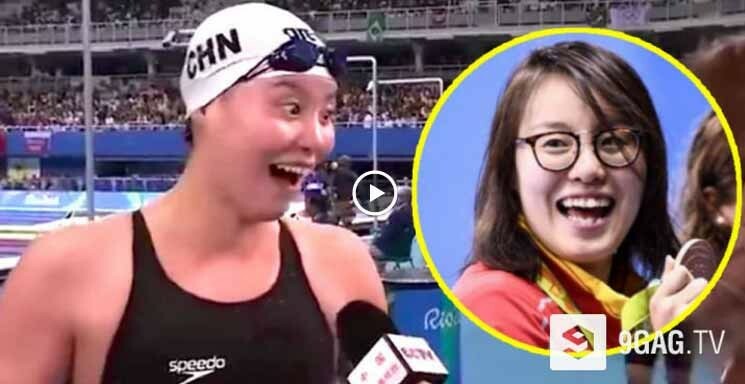 Fu Yuanhui, a Chinese competitive swimmer, joined the Summer Olympics in London last 2012 finishing 8th place in the Women's 100 meter backstroke. And now that she have joined the 2016 Rio Olympics, this Chinese cutie won bronze medal in which the internet goes crazy about her reaction upon knowing she won. Check out the video below and see how Yuanhui and her adorable reactions made it on the internet.